Although small, the Sealyham Terrier is the embodiment of power and determination ??? a true terrier! The Sealyham?۪s wiry, weather-resistant double coat should be all white. Lemon, tan or badger-colored markings are allowed on the head and ears. Very keen and alert, the breed was used as a hunter in the past, although today they excel as a family pet and participant in Earthdog competitions. 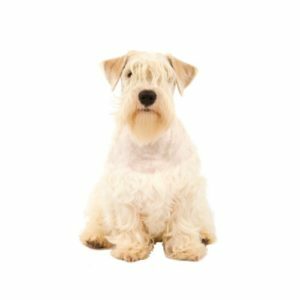 Originally bred in Wales, the Sealyham was developed from the West Highland White Terrier, the Wirehaired Fox Terrier, the Bull Terrier and the Dandie Dinmont Terrier. The breed derives its name from Sealy Ham, Haverfordwest, Wales, the estate of Captain John Edwards, who created this breed to quarry badger, fox and otter. Always game and very quick, the Sealyham?۪s white coat was necessary so that they could be distinguished from the varmint they went to ground to capture! Ideal size about 10?_ inches tall at the shoulder and approximately 24 pounds.